If you are a advertiser or a digital marketer then we are pretty sure that you are aware of the term SEO a.k.a (Search Engine Optimization). 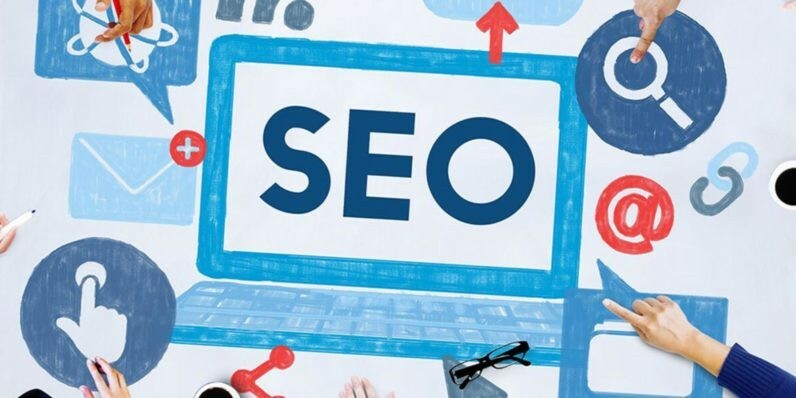 Right now there is a lot of hype going on about this term and people are going crazy after it because at the end of the day SEO is like a fundamental need for marketers and advertisers. If you want to drive traffic on your site then you are going to need some badass SEO strategies. Now, if you are someone who just stepped in this business and doesn’t know much about SEO and it’s role then don’t worry and stick to this article a little longer because today we are going to summarize SEO for you. Also, we will be telling you some interesting things about SEO so yes, this is going to be a fun ride for all of you. If you are someone who wants his content to be found by people using the search engines then SEO is going to be your best friend. In simpler words, SEO is all about your site and your content coming on top of the search engine rankings. For example, if you are running a e-Commerce platform or if you are blogging then it is but very obvious that you would want more and more people to visit your site and for that you will have to come on the first page of the Google search results. Now, going to that point where you can drive a lot of traffic on your page requires a lot of effort and that effort is called SEO. Want to know more about SEO? Click here. Your content is your key to success and there is nothing else that matters more than your content. Make sure that you are writing articles, posting images or videos that are actually relevant to what people search for. It’s a very basic thing to understand, make your content relevant and make it interesting and you’ll see how people rush towards you and your site. The headlines, the sub-heads, each and every single thing matters a lot when it comes to the quality of content. You have to struggle hard to start with a headline that can grab the attention of the reader in a fraction of time. So, remember that the number 1 rule is to make your content speak for your quality. If you want to get found, it’s simple, you have to follow the rules of Google and those rules also apply on the layout of your page. Use engaging keywords, make sure you are providing the users what they search for the most. Check the Google’s recommendation when it comes to your page layout. Again, do not ever go against the rules and policies of Google or else you are going to get yourself in some serious trouble. You don’t have to make efforts on Google only, in fact, your social media activities and your paid advertisements matter the most. Not many of you know about it but Google is in “relationship” with Twitter and when it comes to Bing then Facebook is what it’s dating. In simpler words, you have to make sure that your are sharing and linking up your content on social media too. Google keeps changing it’s policies and algorithms for SEO just so you can stay on track so instead of working hard, try to play smart and use social media too for your marketing. These are a few things that can come handy for you if you want to make your SEO game strong. Remember, it’s not going to be easy and don’t take it too light, you will have to keep struggling with the quality of content you produce and the on page and off page SEO in order to see results. the importance of content and social media is well explained....thanks for giving this article.